Continuing the trend of looking for new and exciting ways to play on the river Alpin Action has started a new activity, SUP. This sport is an ancient form of surfing and offers new ways of playing on water, from surfing river waves, to running rapids. 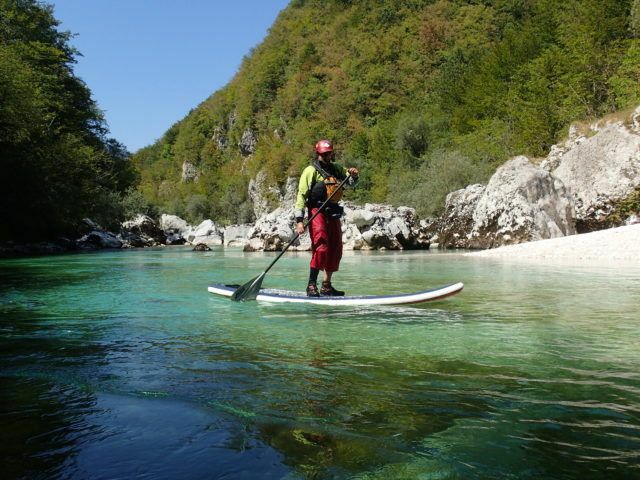 For a more relaxing experience they can also organise supping on Lake Raibl, Most na Soči and on the more calm waters of Soča river. COMPANY: ALPIN ACTION/CANYON 4 D.O.O.